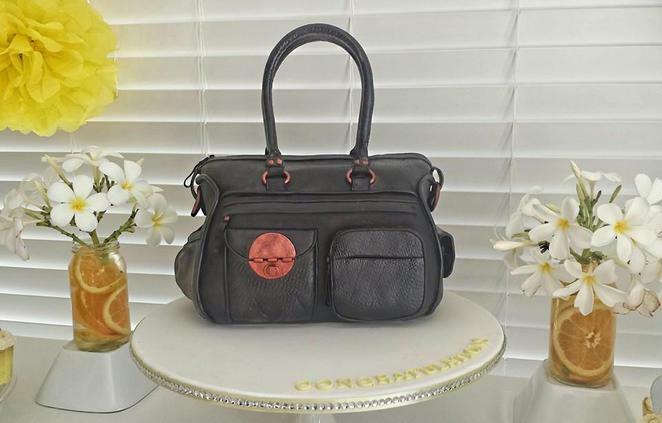 When Marie Antoinette said, "Let them eat cake," she could not have imagined the masterpieces that would one day be available from Cakes by Renee. You don't just eat Cakes by Renee, you marvel at them, display them as the centre of attention, show them to your friends, photograph them, parade your guests past and finally, if you must, force yourself to cut into a piece of art and eat the cake. Actually, you'll be glad you did eat it – that's when the good times really start; these cake are absolutely delicious. Bet you never thought you'd eat the insides out of a nappy bag. Cakes by Renee specialises in custom cakes for weddings and special events all over South East Queensland and is located at 132 Brookwater Drive, Brookwater. 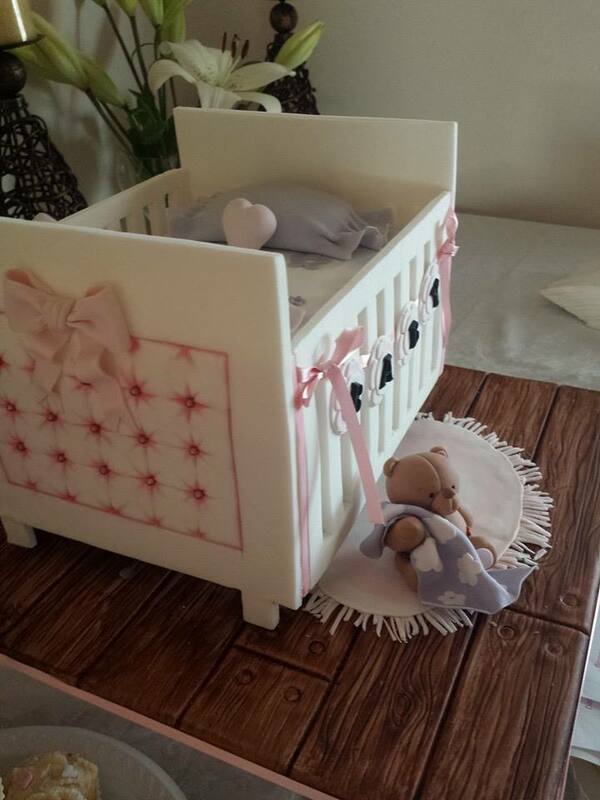 You can contact Renee by email at enquiries@cakesbyrenee.com.au or by phone on 0425706463. All the cakes are made from scratch, using melt-in-your mouth butter and only first-rate ingredients. Coverings are high-quality cream and chocolate (ganache) and buttercream icing is made with real butter. What little girl wouldn't love this cake at her christening? This strict adherence to the highest of standards results in a great tasting cake you will be proud to show off and later serve to your guests. 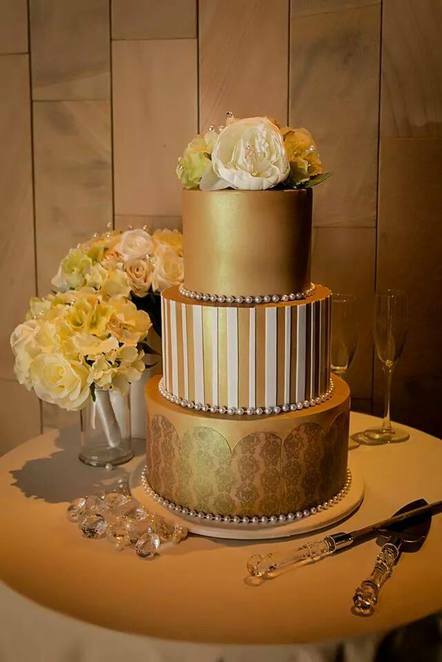 A pure gold cake - inside and out! 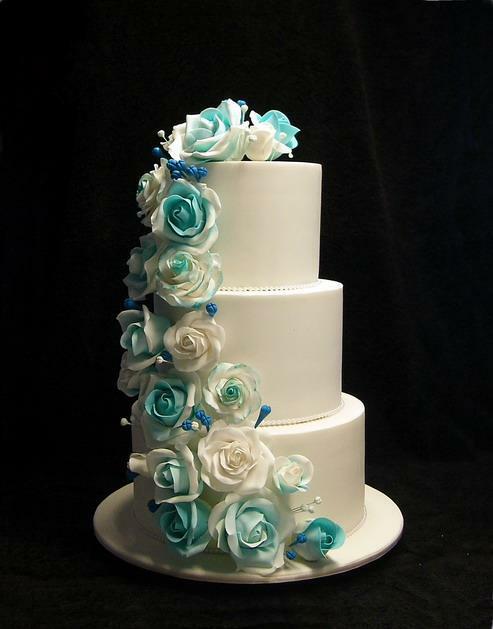 Cakes by Renee stays flexible and will work with clients from over six months to just a week depending on Renee's availability on the date for your special event. It is preferable, however, for the following notice times: wedding cakes, 4 to 6 weeks; birthday, corporate or other occasion cakes, 2 to 4 weeks during early summer (October to December) and all other times 1 to 2 weeks. Have Cakes by Renee create something essentially yours by utilising the couture design service where your unique edible masterpiece will be created from your ideas. Who would have thought a cake could be a stack of pancakes? Your unique design ideas can come from anywhere. Take one small detail that draws your eye and this can become the inspiration for your edible tour de force. I was told this cake was named after me - but my name's not Bert! Start your design by considering the simple things, think about the style of cake you would like, the desired shape, the colour scheme or base the design from your invitation, the event's venue, the bridesmaids' dresses, the wedding gown or just about anything else you love. This Bugatti Veyron will go as fast as the real thing when you start eating it. Chocolate – Rich, moist, chocolate mud cake layered and filled with a dark chocolate ganache. Always a popular flavour and milk chocolate can be used for kids parties. 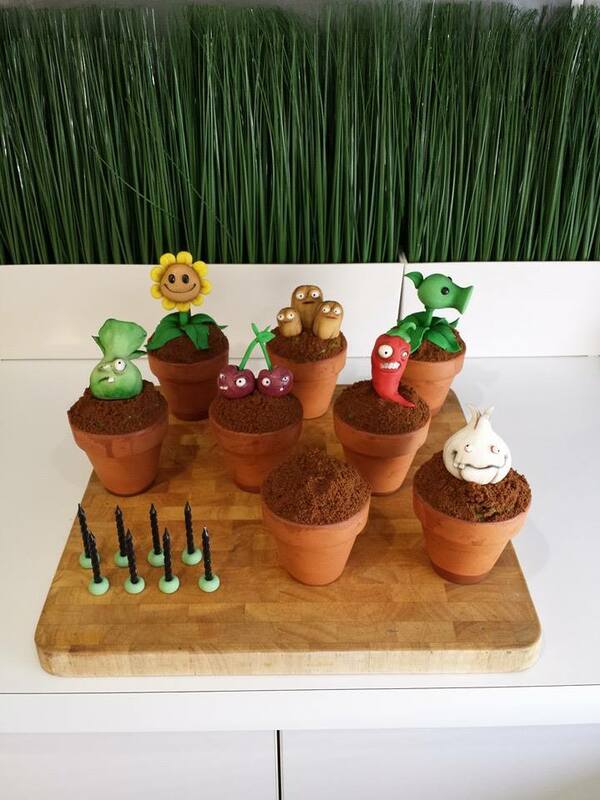 Chocolate cakes baked in little terracotta pots with crushed cookies as dirt and Swiss meringue buttercream inside. Chocolate with Salted Caramel Sauce - A rich chocolate cake with freshly made salted caramel sauce drizzled over the ganache layers of the cake. Choc Mint – With its rich chocolate cake and minty whipped ganache filling, this cake makes a fitting finale to a special meal. Jaffa – A classic flavour combo of chocolate and orange. You don't need to know what a 'Jaffa' is to enjoy this flavour. You just need to be a fan of chocolate and oranges! White Chocolate – A cake with a delicate flavour, layered with white chocolate ganache just perfect for children and daytime events such as christenings. Raspberry (or Mixed Berry) and White Chocolate – Fresh pureed berries gently folded into a white chocolate or chocolate mud cake makes for a wonderful alternative. Orange and White Chocolate - Full of flavour from fresh orange juice and zest added to a white chocolate cake, this flavour is moist and rich with an added kick when paired with white chocolate ganache. Citrus – Fresh, lively flavours of orange, lemon and lime make this combo ideal for spring and summer events. Caramel – A subtle smooth caramel flavour, layered with white chocolate and/or milk chocolate ganache. Just how nice a caramel mud cake with milk chocolate ganache can look. Orange and Poppy Seed – A light cake with a citrus tang made using fresh orange puree and poppy seeds and layered with white chocolate ganache. Orange poppy seed is a wonderful cake to serve with coffee after a heavy meal. Marble – For those that love white and dark chocolate mud but just can't make up their minds. Two delicious flavours for the price of one in a deliciously decadent cake. A wheel treat: Marble cake with white chocolate and milk chocolate ganache. Cupcakes – All the delicious flavours are available with a buttercream swirl and fondant topper OR topped with a layer of ganache then covered and decorated with a beautiful fondant finish. 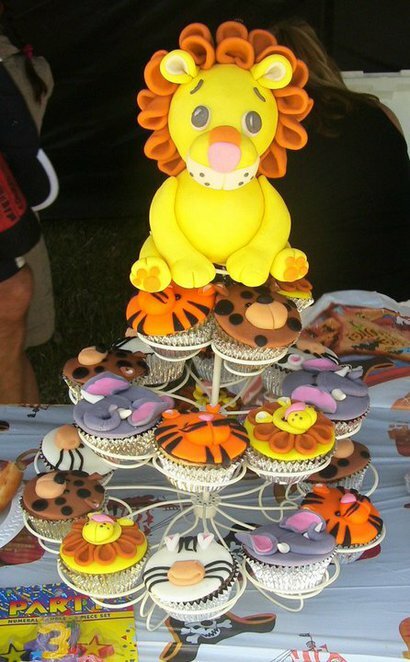 This lion won't save the cupcakes from the kids. If you suffer from the common cake selection problem and just can't make up your mind which you prefer then make each tier a different flavour. 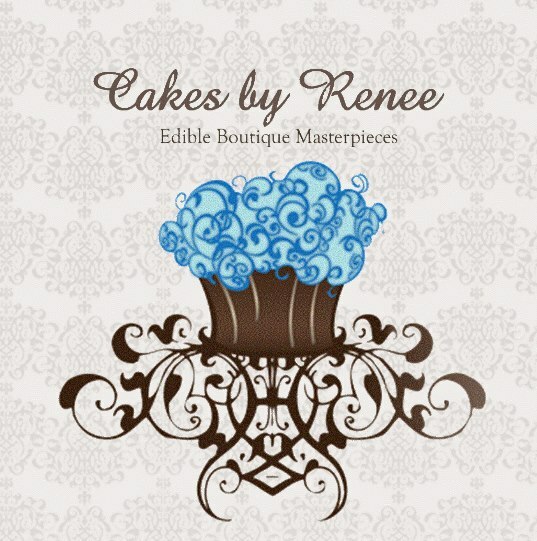 Just pick your multi-selections from the delicious range and Cakes by Renee can make it happen. This Sparkle Cake looks like a roll of Lifesavers when you cut into it. Prices for these edible masterpieces start from $150 for a single tier right up to 4 tiers or more from $600. Sculpted cakes start at $300 as they are more complex and invariably take a lot longer to complete. Pricing is based on size and difficulty of the design, that is, the number of people to be served and the number of hours it will take to create. Therefore difficult cakes such as those with an unusual shape or that require a lot of fine piping or sugar flowers will be more expensive than a simple cake. Delivery within 20 km of Brookwater is FREE and for further distances there is a minimum fee of $20 which also includes set up of the display at the venue. For more information on these glorious cakes take a look on Cakes by Renee'swebsite,or her Facebook page. 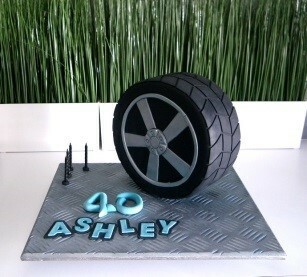 You can also enquire directly by email at enquiries@cakesbyrenee.com.au or by phone on 0425706463. 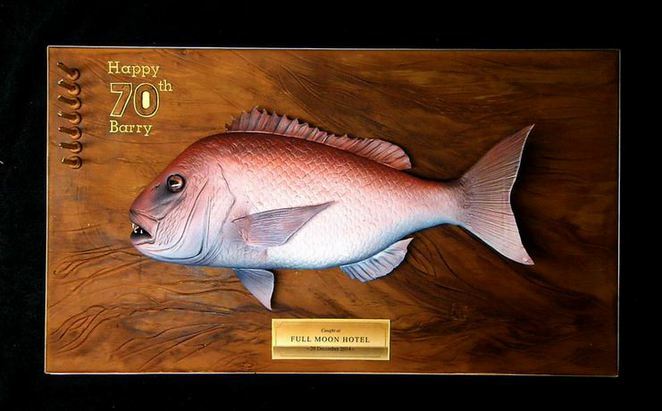 Make your event really spectacular with your uniquely designed cake. Your next cake is only limited by your imagination! Why? 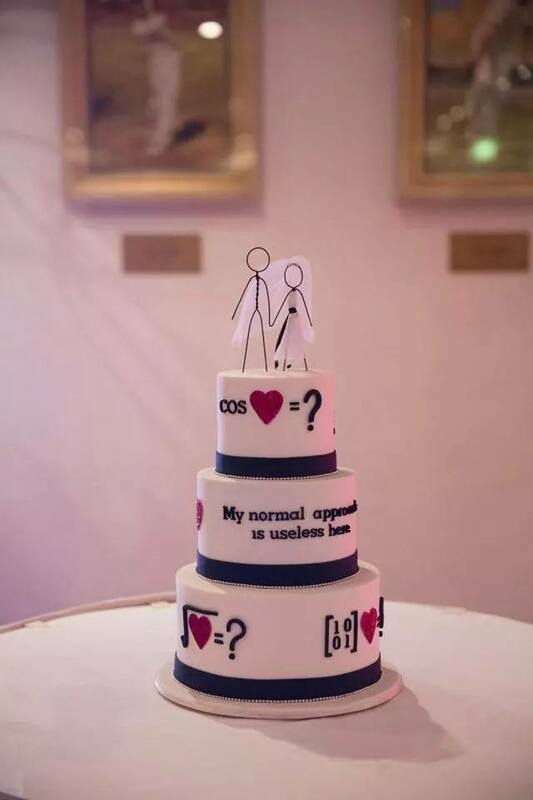 I'm sorry, I just can't answer 'Why' you need cake - you just do! The cot cake is clever, but like a lot of novelty cakes, I always feel that you are getting more royal icing that you are cake. I wouldn't want to eat them, but they do look magnificent. I was going to say 'My favourite is...' but then I kept scrolling down and changing my mind. Thanks for sharing these. They are gorgeous. I guess it's lucky I don't live near Brookwater. It might be the crib...and the teddy with a blankie. 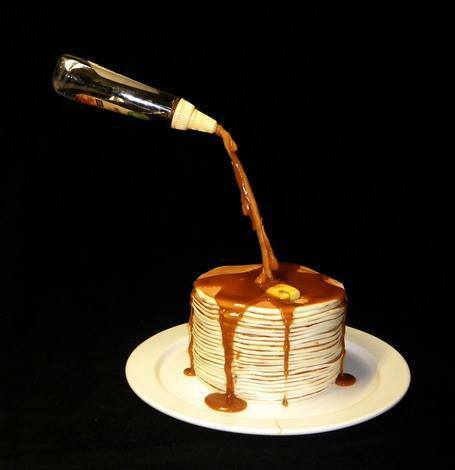 Or the pancakes...how clever are they? And you can't go past the bug eyed vegies! Wow, they look amazing!! I think Dad would love the snapper!